The most recent addition to the Simmons family. 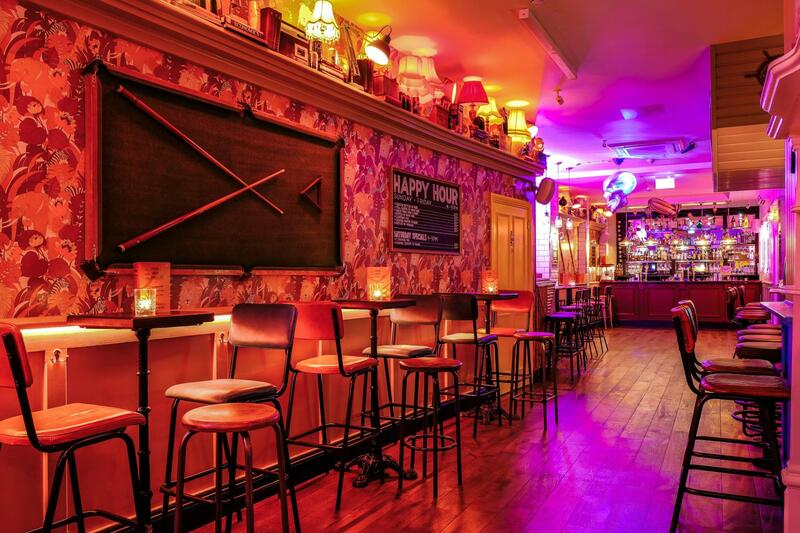 The venue has 2 floors, available for full venue hire, or the downstairs room can be privately hired. You'll find us near the famous and historic Smithfield Market, close to Barbican stations. 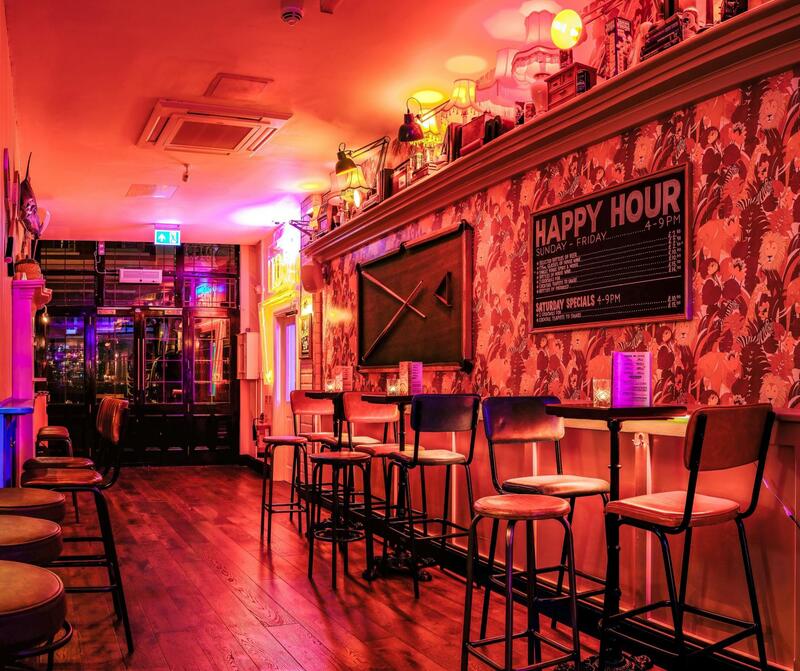 We are open late till 2am Thursday-Saturday! Our function room holds a standing capacity of 120, and the whole venue can hold 250 guests. 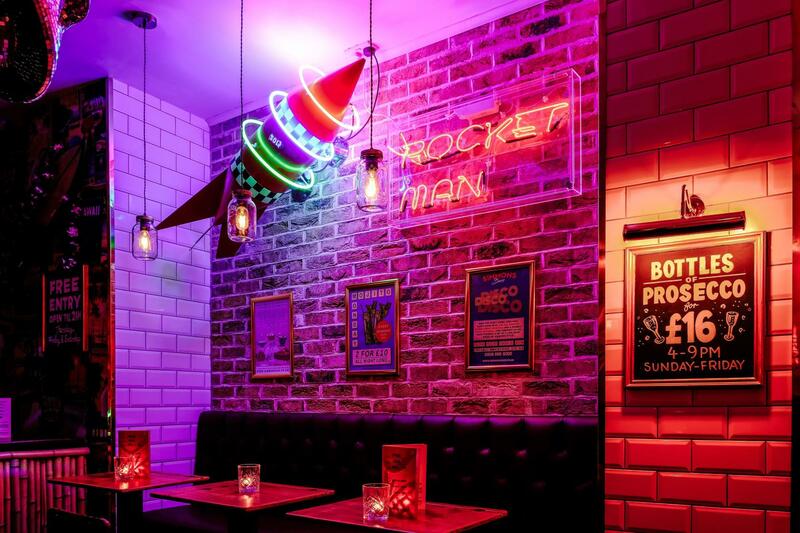 The bar is complete with exciting neon's and fun school nik naks that will definitely take you down memory lane. There's also a Super Nintendo for anyone who feels fit to play! 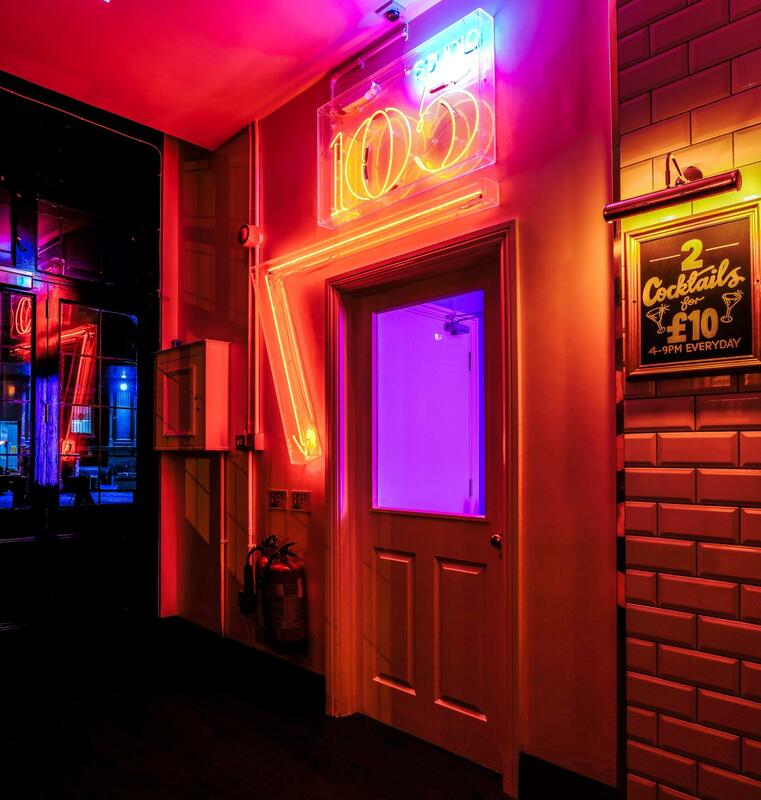 Split over two floors, you'll find us by the famous and historic Smithfield Market .Open until 2am on weekends Simmons Farringdon is the place to be! Our function room holds 60 guests sitting, 120 standing, and 250 if you're looking to hire the venue in full. 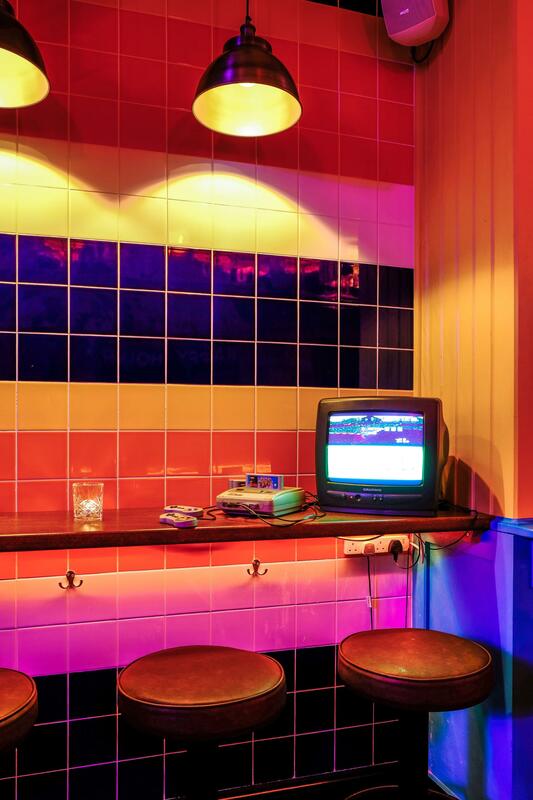 The bar is complete with exciting fun neon's and old school games. Have a go on the super Nintendo!